As Caroline only applied for the amount of £200 to cover her fees, we've also been able to award £110 to Mezzo-soprano Monique Simone to cover the cost of her accommodation when she competes alongside four other singers in the final of The Douglas Rees Memorial Young Opera Singer of the Year Award. We wish Monique all the toi tois for this competition. Monique will also take advantage of the opportunity to work privately with Norman Cooley of Acting for Opera on audition technique as part of her award. Finally Soprano Beatrice Acland will also receive a 1-2-1 audition technique session with Norman Cooley along with a copy of his book Acting for Opera. We are delighted to announce that for the April award an anonymous donor has come forward and consequently there'll be a total of £600 to award singers to help with costs incurred preparing for or participating in events that will help them progress in their careers. 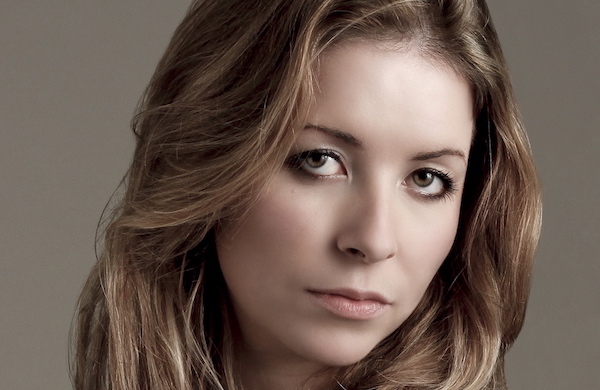 Caroline Taylor is a postgraduate soprano studying at the Royal Northern College of Music under Louise Winter. Prior to this, she read for an MA (Hons) in French, Italian and Spanish at the University of St Andrews, where she graduated as the recipient of the Cedric Thorpe Davie Memorial Prize for outstanding musical contribution. Her studies are generously supported by the Richard Newitt Fund, the Lynn Foundation, the Mario Lanza Educational Foundation and Help Musicians UK, with whom she holds a Postgraduate Award. Her previous teachers include Anthony Roden and Jonathan May. At the RNCM, Caroline has been a finalist in the 2018 Concerto Competition and the 2017 Joyce and Michael Kennedy Award for Singing of Strauss; and she won the 2017 Brodsky Cross-School Prize with her chamber ensemble, the Lucrezia Trio. Most recently, she represented the RNCM in the Sir Anthony Lewis Memorial Prize with Musica Britannica, winning first prize. Concert performances include soprano soloist in Montéclair La Mort de Didon (RNCM Chamber Music Festival), Vivaldi Gloria (Anstruther Philharmonic Society), Bach Mass in B Minor (Kellie Consort) and St John Passion (RNCM), Handel Jephtha (St Andrews Chorus), Vaughan Williams Sinfonia Antarctica (Dundee Symphony Orchestra), Britten Les Illuminations and the chamber arrangement of Mahler Symphony No. 4 (Helix Ensemble). Opera credits include the title role in Massenet Cendrillon (RNCM Opera), Governess/The Turn of the Screw, Miss Wordsworth/Albert Herring and Coridon/Acis and Galatea (Byre Opera), Yum-Yum/The Mikado (Southampton Operatic Society), Papagena/The Magic Flute (St Andrews Voices) and scenes as Tina/Flight, Suzel/L’amico Fritz and Blanche de la Force/Dialogues des Carmélites (RNCM). Caroline is an RNCM Songster and a 2018 Leeds Lieder Young Artist with her duo partner, Anna Chiu; recent recitals include St Ann’s Church, Manchester and Uppermill Festival Coffee Concert Series. She has a keen interest in 20th and 21st century song and has performed Messiaen Chants de Terre et de Ciel and Paul Patterson The Sorriest Cow of Capricorn in concert. In 2016, she won second prize in the AESS Courtney Kenny Award for English Song and Poetry. In September, Caroline continues her studies at the RNCM with scholarship on the PGDip: Advanced Studies in Musical Performance. Future engagements include soprano soloist in Handel Messiah (Chesterfield Philharmonic Choir) and Monteverdi Vespers of 1610 (Phoenix Singers) and creating the role of Sara in the world premiere of Adam Gorb’s opera The Path to Heaven. She also joins British Youth Opera as Helena in the UK premiere of The Enchanted Island. Monique Simone is an Australian/German Mezzo-soprano, who trained in both Melbourne and Perth, and performed in some of Australia's most prestigious concert venues. She received a full scholarship to study classical voice, at the Victorian College of the Arts Secondary School (VCASS). While there Monique understudied the role of Dido, and performed as a soloist at the Melbourne Recital Centre, Federation Square and the Melbourne Arts Centre. Monique completed her Bachelor of Music at the Western Australian Academy of Performing Arts (WAAPA), graduating with High Distinction for her final recital. Whilst at WAAPA she performed the roles of Galatea (Acis and Galatea) and Hippolyta (A Midsummer Night’s Dream) under the baton of Richard Gill. Monique was in the WAAPA International Art Song Academy, where she worked with Dr. Graham Johnson OBE and Mary King, and was selected as a soloist and performed with Graham Johnson in the Academy’s Gala Concert at Perth's beautiful Government House Ballroom. Career highlights include: performing at Mark Coughlan's New Year’s Eve Vienna Pops Concert, at the Perth Concert Hall, bringing Opera to remote communities in Broome and Derby and as a soloist in Opera Under the Stars. Notable awards received include: the North of Perth Music Festival’s Most Outstanding Senior Vocalist and Perth’s Royal Overseas League Award for Young Singers. In 2017 Monique enjoyed working with the West Australian Opera chorus, in Tosca and The Merry Widow. Monique is currently studying to obtain her Masters in Advanced Vocal Studies, at the exclusive Wales International Academy of Voice, under the tutelage of international tenor Dennis O’Neill CBE. 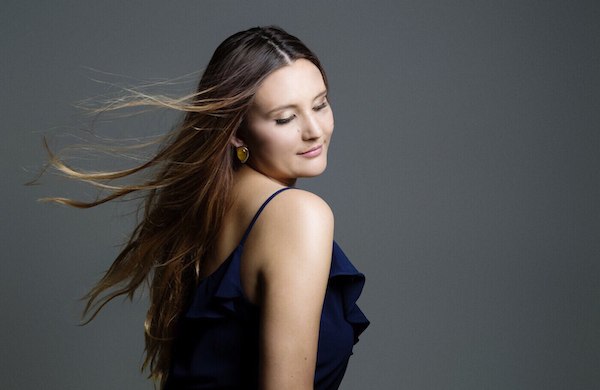 Soprano Beatrice Acland recently graduated from the MA Opera Performance course at the Royal Welsh College of Music and Drama, where she studied with Lorna Anderson and Ingrid Surgenor. Beatrice recently performed in the chorus of Falstaff at the Liverpool Philharmonic Hall under the baton of Vasily Petrenko with Sir Bryn Terfel in title role and Rebecca Evans as Alice Ford. Previous operatic engagements include Elivra Don Giovanni with British Youth Opera, Iris in Mid Wales Opera's Semele, Zhou in The Welsh National Youth Opera's Kommilitonen! conducted by Alice Farnham, Alice Ford in RWCMD's Falstaff conducted by Carlo Rizzi. Equally comfortable in concert, Beatrice was the soprano soloist at the St Martin-in-the-Fields opera gala in January of this year. She has been the soloist in works including Mozart Mass in C minor, Haydn The Seasons and Rossini Petite Messe Solennelle. Last summer Beatrice worked with Joseph Middleton in Toulouse on song interpretation, which she then performed in concert there. 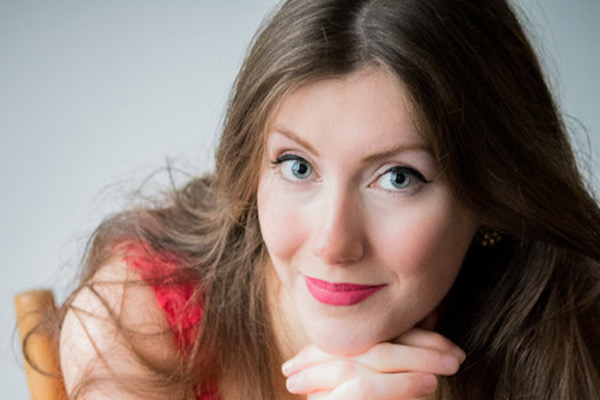 Beatrice sang the role of Pheobe in the World Premiere of Arnold's Henri Christoph in concert at the Malcolm Arnold Festival and is the recipient of the EA Redmann prize, a semi-finalist at the Somerset Song Prize this year and was commended in the 2016-17 Mozart competition.